I always get excited when there’s a few bananas in the fruit bowl that are starting to brown. 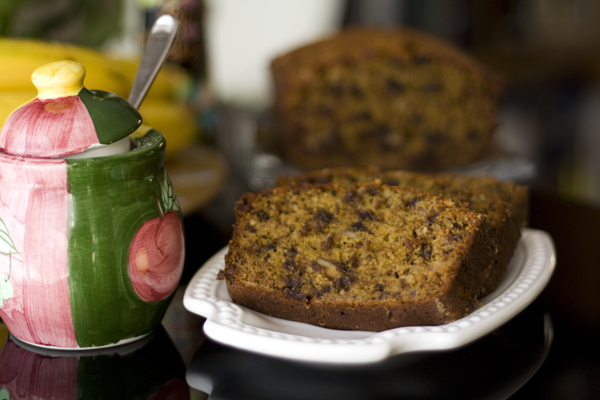 That means it’s time for BANANA BREAD!!! 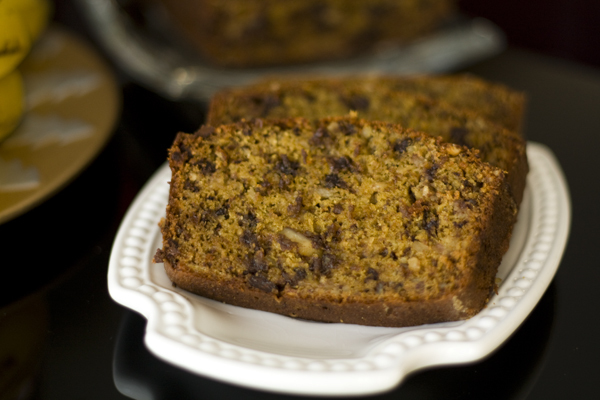 This banana bread is sooooo good. It’s hard to eat just one slice, so take two. Or three. 3. Mix in the sugar, egg, vanilla, walnuts and chocolate chips. 4. Combine flour, salt and baking soda in a small bowl, mix and add to the large bowl. Mix well and pour into a greased and floured loaf pan. Bake for 60 minutes at 350 degrees F.
5. 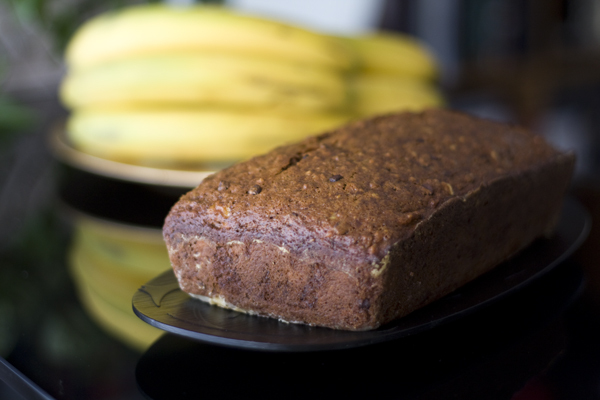 It’s done when a toothpick inserted in the middle of banana bread comes out clean. Cool for 15 minutes and then take the bread out of the pan. Cool completely before slicing.